A wooden side table is supposed to be furniture accessory that is not necessarily the part of a specific furniture range, this could be a totally different wooden furniture item that is meant to be placed in corners or along the walls. These side tables are needed in every house hold especially the ones which are very well organized following all the interior designing protocols. So we just thought to recycle a wooden pallet side table for the lounge or may the lobby. To give it a patriotic touch we have got some different plans that would enlighten you all. 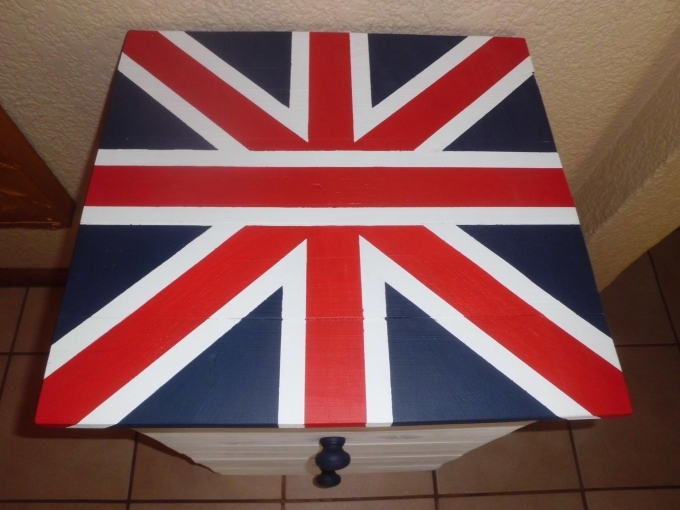 The very prominent feature of this wood pallet repurposed side table is the flag drawn on the top of the side table. This would immediately show the visitors that how much you are obsessed with the love of the land that has given you identity. Secondly we worked a bit on the feature of storage space. We just thought that what exactly can be done to make it more than a mere decorative side table, so we made a couple of large built in drawers inside the wooden pallet side table just to make it a pretty practical and useful wooden furniture item. 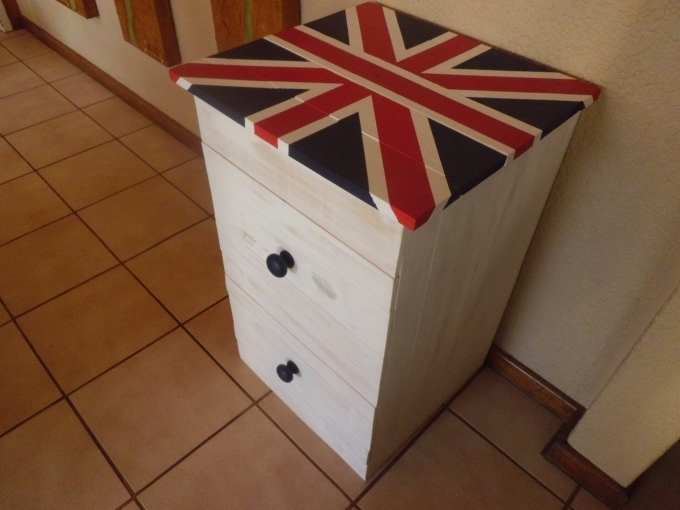 After the completion of the basic structure, we painted it roughly with the bright white stain and we fixed the black knobs on each drawer to make a contrast. 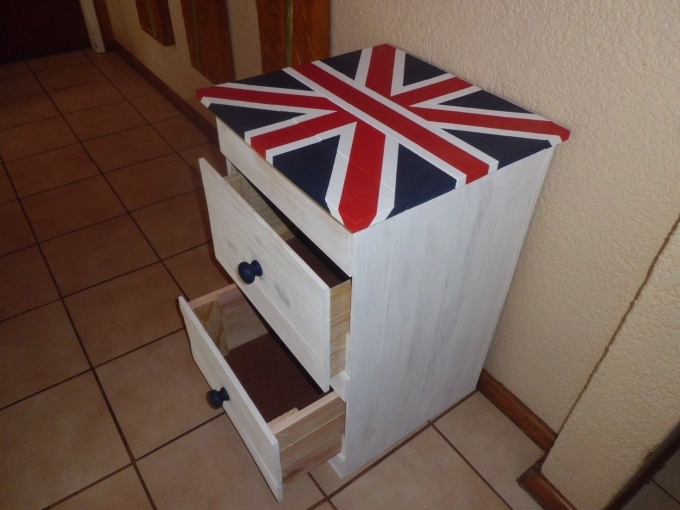 This has turned to be an immensely useful wooden pallet upcycled furniture item. This is all set to be placed in the lounge or wherever you desire this should be placed. 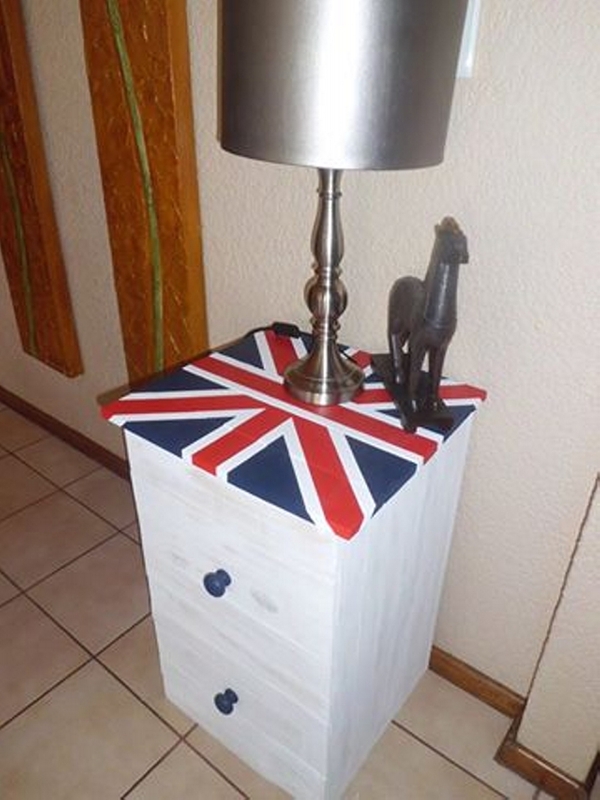 Keeping in view the sanctity of the flag, place some worthy and classic decoration pieces on the top of the wooden pallet repurposed side table, this would immediately grab the attention of the visitors.